Opening Hours: 24hrs, 7 days a week! Our aim is to help you reverse and control these metabolic changes. Discounts from various health, fitness and retail establishments. Discounted health equipment, produce and health products. Free check- in with our Wellness Physician at club events. 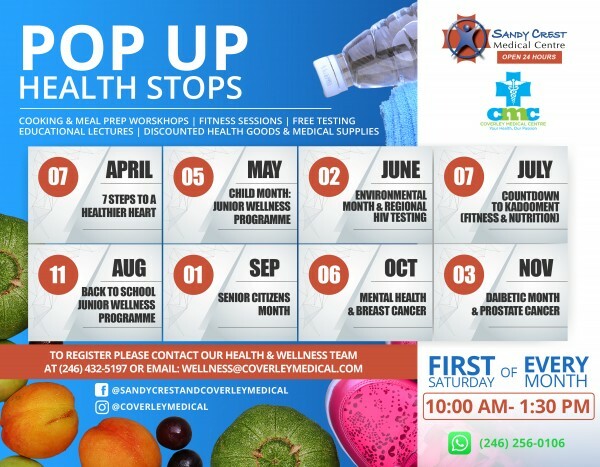 And there is more, every first Saturday of the month, we will host our Pop Up Health Stop. 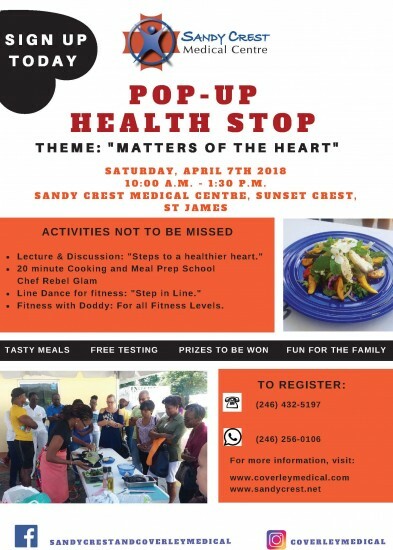 Come for the morning workout, learn how to cook quick healthy meals, get answers to your health questions and receive free testing of course. Take advantage of our special offer of $40.00 from now until March 31st.